One of Ottawa’s most popular Baby, Family, Maternity, and Newborn photographers providing photography services and workshops to clients in Ottawa, Gatineau, Orleans, Cumberland, Stittsville, Rockland, Kanata, Manotick, Barrhaven, and Greely. In addition to photography sessions I also offer beginner photography classes and intermediate workshops on how to use your DSLR camera to create your own beautiful memories. Business workshops and mentoring for professional photographers is also available. I am the recipient of a 2015 and 2016 National Association of Professional Child Photographers (NAPCP) Image Competition Award and Nationally Accredited in the specialities of Child and Infant, Maternity, and Newborn Photography by the Professional Photographers of Canada (PPOC). 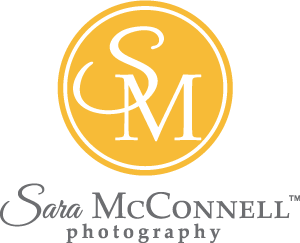 Why choose Sara McConnell Photography? With over 8 years of full-time experience I have photographed over 2500 sessions and worked with over 1500 families. I am an expert in making everyone look their best, from active toddlers to self-conscious parents. I am incredibly proud that my photographs are featured online and in Ottawa businesses. My top notch organizational skills and commitment to customer service means you will have your photographs edited and back to you quickly so that you can enjoy and share them with your family and friends soon after your session. There are no hidden costs or fees. Your session fee includes your time infront of the camera, archival prints, digital files, and my experienced editing skills. I work with my clients to ensure they get the photographs and poses that are most important to them while producing creative and artistic memories you will treasure for years to come. Read client reviews on my website and on Facebook. All of the details for your session are taken care of for you so that you and your family are free to relax and enjoy your session. I am described by my clients as creative, talented, trustworthy, fun, friendly, professional, and experienced. Photography sessions are available outdoors or in my fully equipped professional photography studio. I offer a range of session types and lengths throughout the year to meet the needs of all families. In order to offer the best client experience possible, I specialize in family photography sessions for expectant parents, new parents, and parents with children of all ages. Candid and posed photos of family connections and milestones, including capturing magical childhood moments. An opportunity for expectant mothers to hold onto the fleeting moments of pregnancy. Timeless and classic posed images of newborn babies during their first few weeks of life. Celebrating little one's milestones and creating cherished memories of those precious first few years. A chance to record forever their changing personality, unique expressions, and who they are at this point in their lives. Sara McConnell is a photographer based out of Ottawa, Ontario who specializes in Baby, Family, Maternity, and Newborn Photography. Brenda is the Sara McConnell Photography Session Coordinator and she is here guide you through the booking process, prepare you for your session, and answer all of your questions. Claudine is Sara's assistant during your sessions. This means she holds your things, makes sure your faces are looking the right way, your hair is in the right place, your clothes aren't bunching and your kids are giving Sara their best smiles.